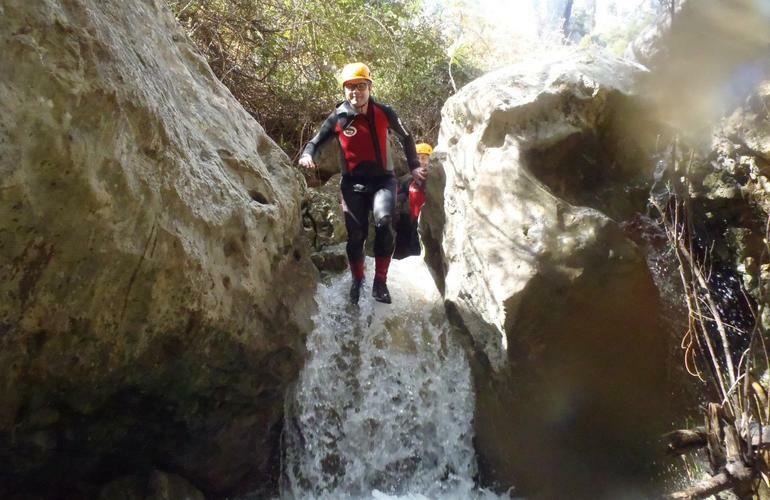 Get ready to push you limits and reconnect with nature in Barranco del Mela right in Sierra de la Serrella in Alicante! 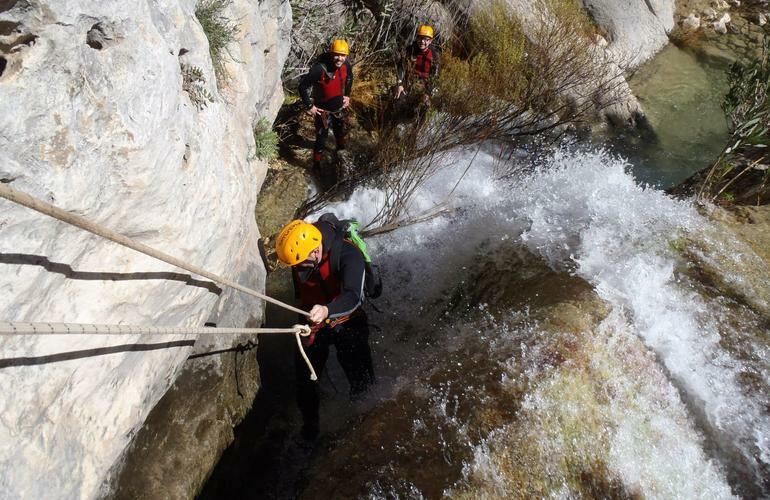 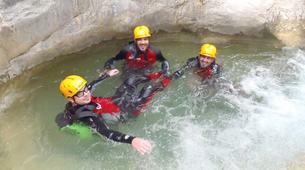 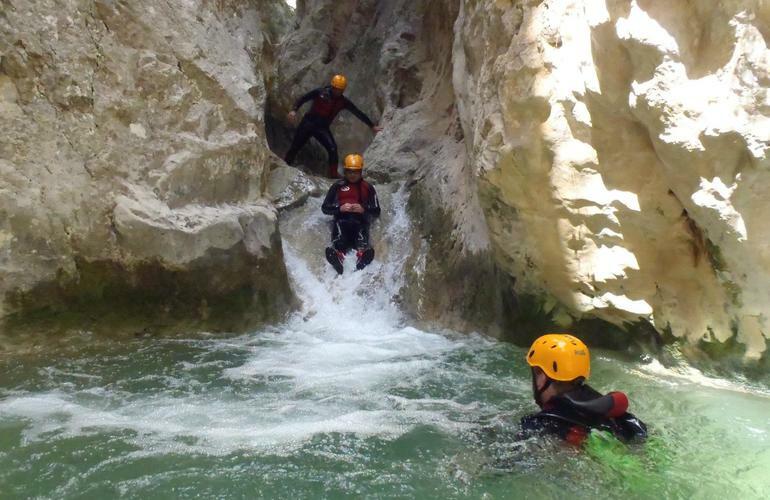 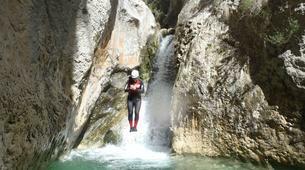 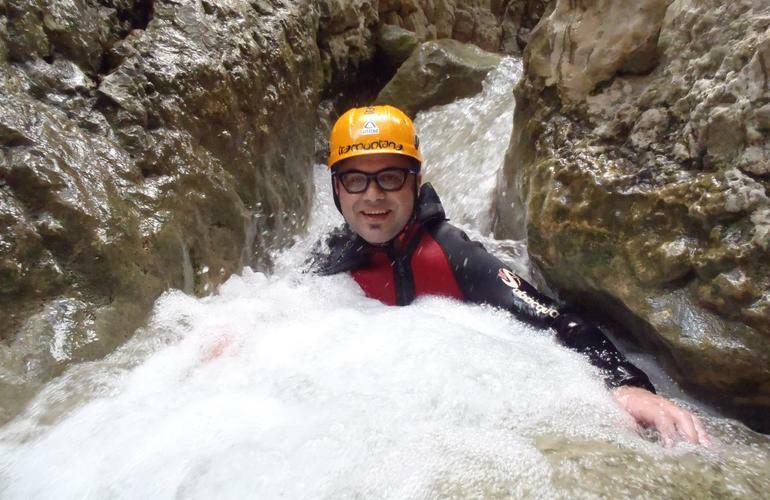 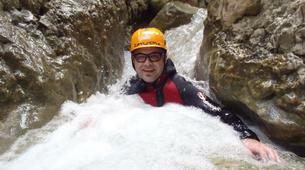 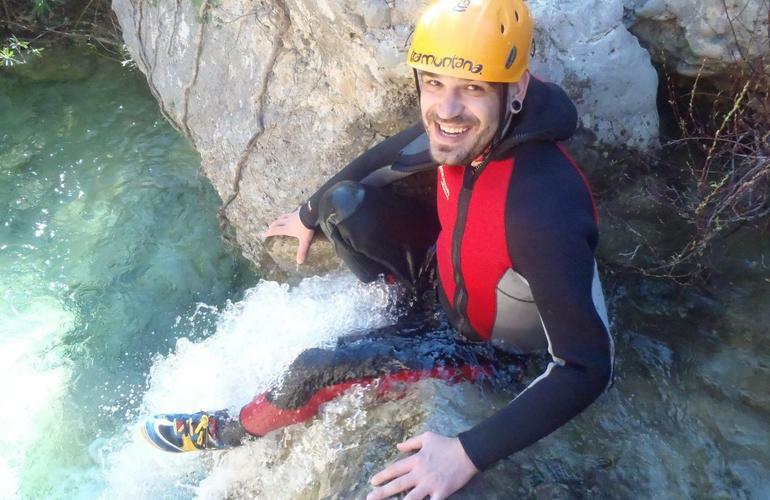 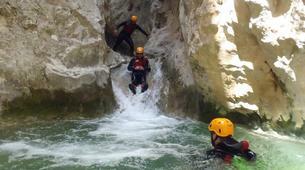 Canyoning is an activity that involves going down canyons, through river beds or rivers at mountains that formed with water erosion. 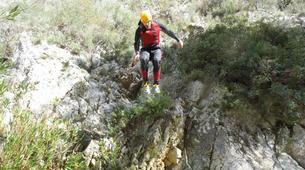 The descent is by jumping, walking, sliding, swimming or performing maneuvers with ropes. 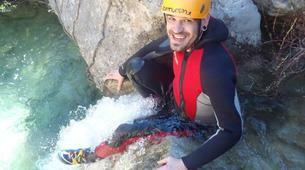 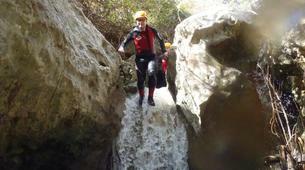 You will go through waterfalls, natural slides, water holes and other obstacles of the river. 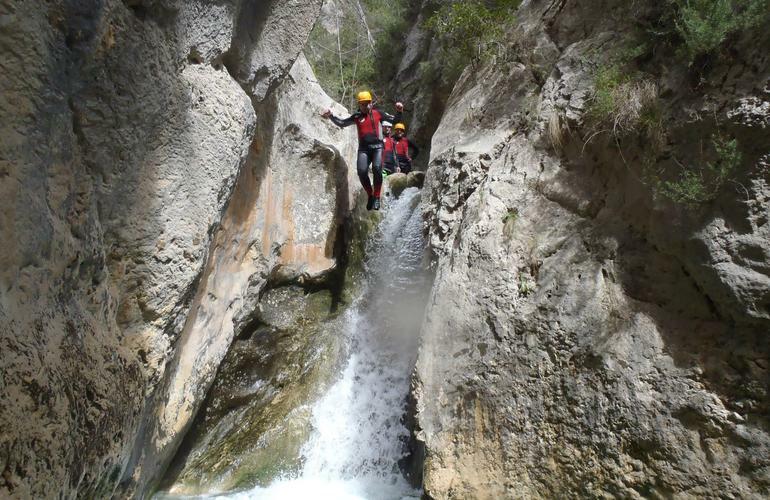 Descending Barranco del Mela in Alicante is one of those canyons that have the perfect combination between small abseils, jumps and natural water slides and the breathtaking natural landscape of Sierra de la Serella. 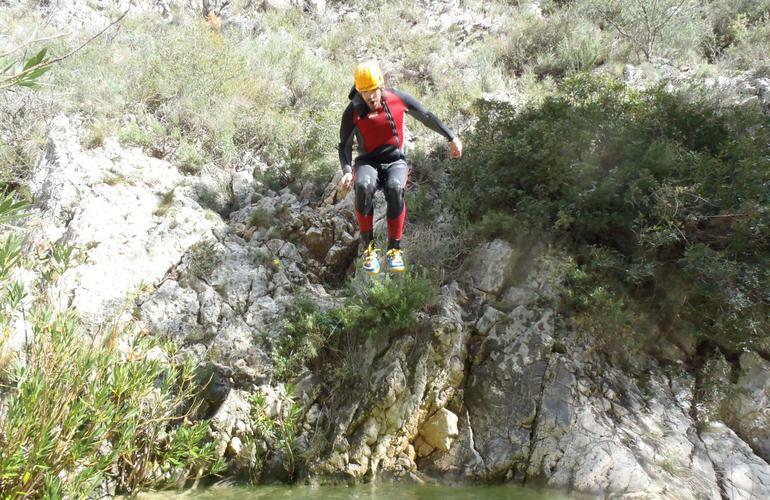 Sierra de la Serrella, with its canyons and it's luscious life is just amazing. 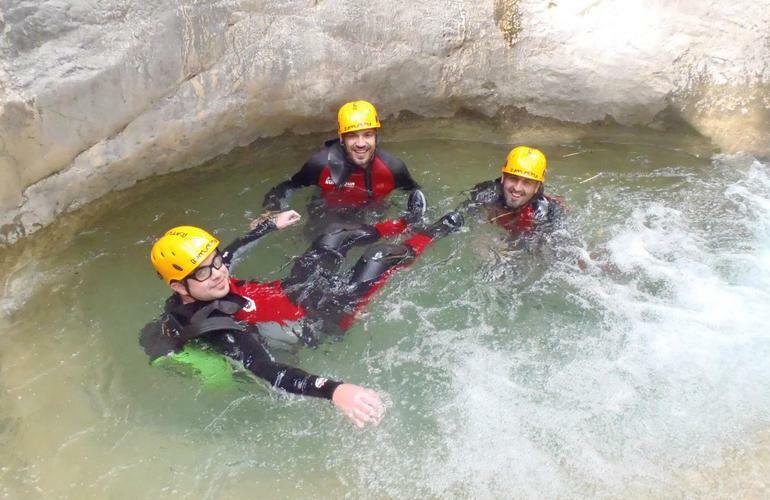 Those who have experienced this canyon before usually come back to do it again and each time they leave with a huge smile on their faces! 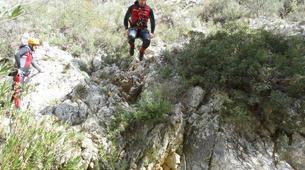 All participants must me able to swim. 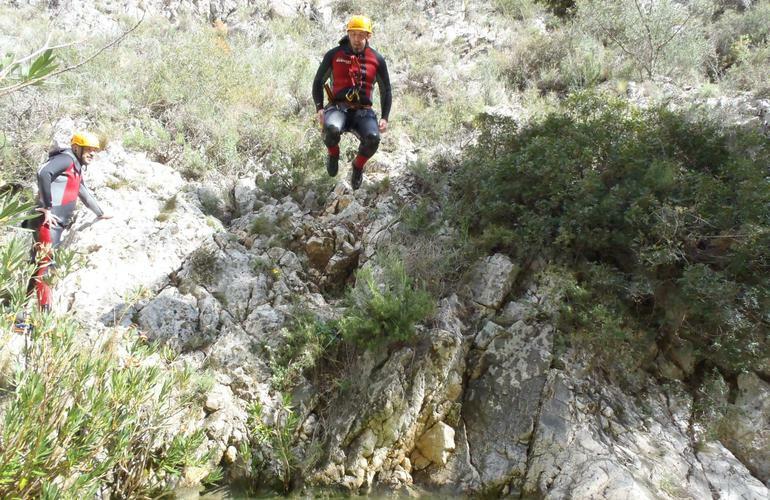 This activity is not recommended for people suffering from vertigo or for pregnant women. 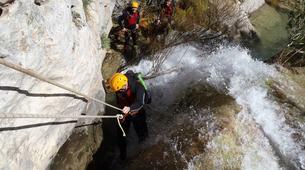 Minors must always have authorization from their parents. 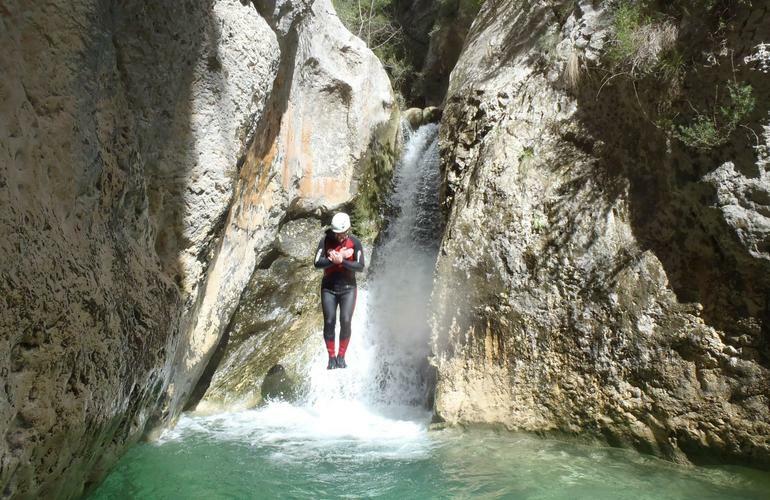 Please contact your instructor after booking to arrange a transfer if needed for an additional fee of 10 euros per person. 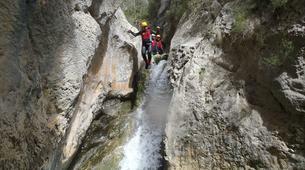 À faire entre amis ou en famille.